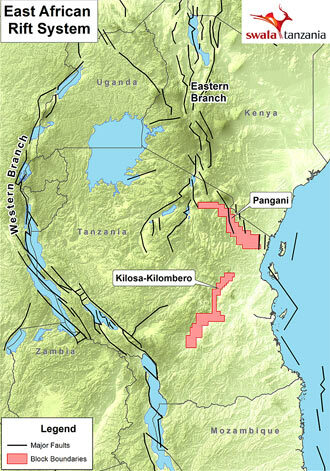 Swala currently has equity in two exploration licences: Kilosa-Kilombero in Tanzania and Block D in Burundi. It also has an active business development programme in Africa and elsewhere with a particular focus on development and production assets. Swala is also a shareholder in PanAfrican Energy Limited, which owns the Songo Songo field in Tanzania as well as associated infrastructure and distribution and marketing agreements with private sector and state enterprises.